A media kit, also known as a press kit, is a document that is mostly used nowadays by creative professionals such as photographers, writers, and content creators, which may also include bloggers, YouTubers, and social media stars. They use media kits as a way of marketing and advertising their services and previous works to convince their potential clients and partners to strike up a deal or a collaboration with them. If you are a creative professional yourself or if you own a business, using a media kit as part of your marketing efforts would be a wise choice to have. With the use of a media kit, you will finally be able to conveniently present all of your vital information in an orderly and presentable fashion. If you are convinced to finally have one of your own, below are the media kit examples and templates that you can easily download and customize. 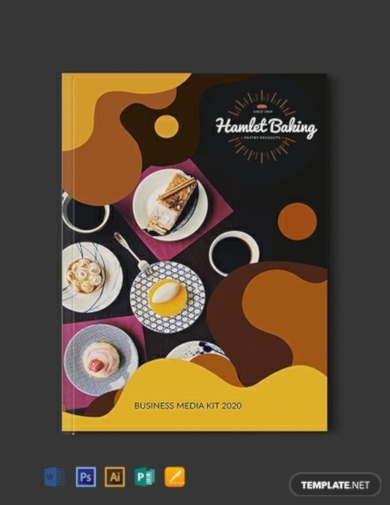 What better way to present your baking business than with the use of this media kit template? Through this business media kit, you can conveniently list down your baked goods’ costs and benefits, your current or even annual special offers and promotions, your baking business’ history, your contact information, and even the current news or press release. 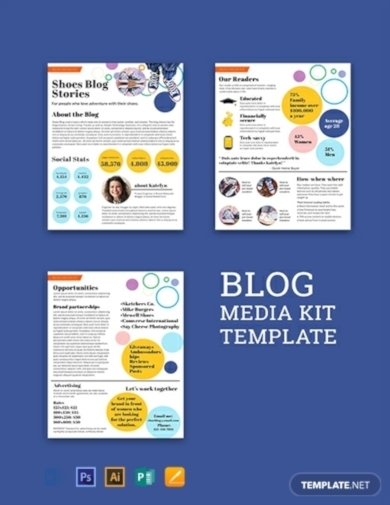 In the world of blogging, your media kit is a document that acts as a portfolio that enables you to layout and present your key facts and displays the statistics of your blog such as your current number of articles and your traffic on a weekly or monthly basis. In the event that you can encounter potential advertisers or brands whom you can collaborate with, providing them with your blog media it is the best way that you can gain their interest and trust. Are you a fashion influencer with a laid back but chic fashion style? Then we may just have found you the perfect, equally chic media kit just for you. As a fashion influencer, you can surely influence other people’s fashion styles and tastes with the use of this media kit template. 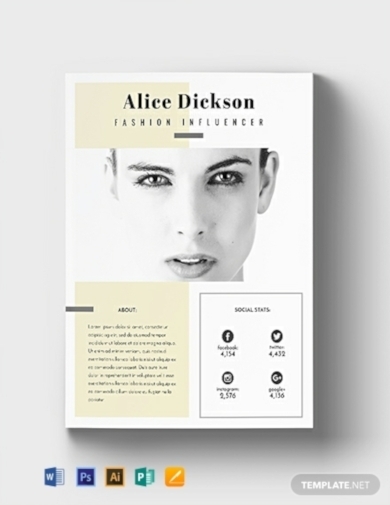 Through this template, you will be able to display your fashion portfolio in an organized manner that your potential partners or collaborators will surely love. Marketing businesses under the food and drink industry are definitely not rocket science and this is because of the fact that people generally love to eat and drink a lot. However, this does not mean that you can put your marketing effort levels up to a notch, right? One way of stepping up your game when it comes to promoting your business is by making use of a media kit that can serve as a different kind of medium where you can show or prove to your current and even potential clients that you still have a lot of other things to offer to them. 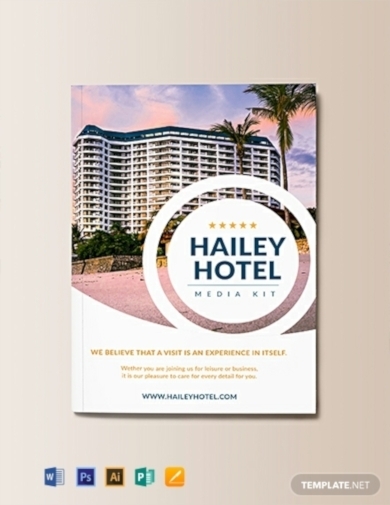 Show potential investors and clients what your hotel business can offer with the use of this hotel media kit. 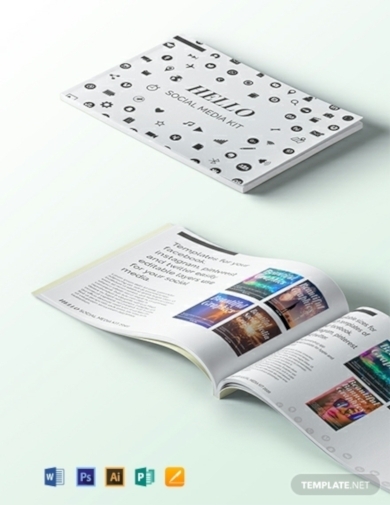 Using this media kit can help you list down all of the services that your hotel can offer compared to creating a bulky service catalog. 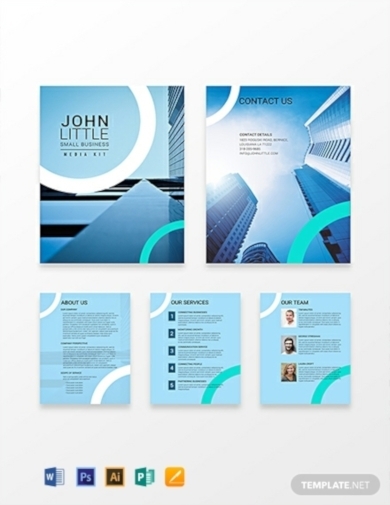 With this template, it is possible that you will craft an effective media kit suitable for your hotel establishment, most especially that it contains customizable layout where you can add high-quality images and other graphics files. 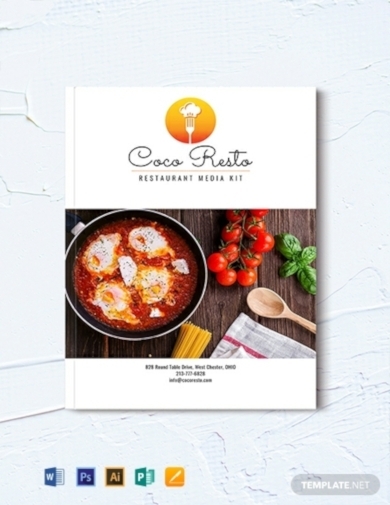 Effectively draw attention toward your restaurant business by making use of this professional media kit. 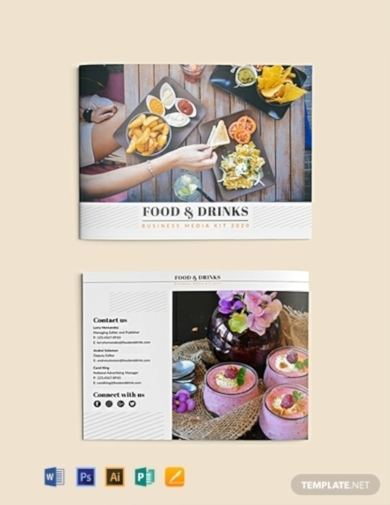 The use of this media kit will help you create a really effective promotion that will enable you to highlight the important basic details of your restaurant business, and aside from that, you can also include substantial testimonials from your clients or customers, and annual performance report. If you are still starting out as a small business, you may have difficulty in making sure that your marketing efforts will be worth it. With that, you must consider having this small business media kit that will certainly be favorable and suitable for your start-up company. Worry not for this template contains an editable layout that you can easily edit using various editing software applications. Own a digital company? Boost up your potential by making use of this social media kit as one way of marketing your brand digitally. With its simple and minimalist layout, you will be able to make sure that your target clients will immediately be directed to the point that you want to get across and do away with any unnecessary design elements that can get too overwhelming to read. Are you a travel blogger? For sure, one of your goals may include getting a collaboration with travel-related companies such as those from the airline industry. For that to be possible, you must prove to them that you are worth collaborating with. 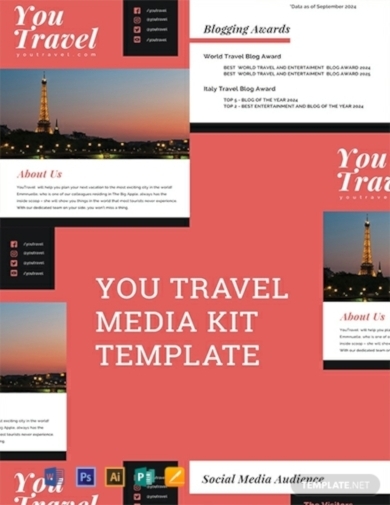 You can do so by providing them with this travel blog media kit that you can use to show your background and other collaborative projects. 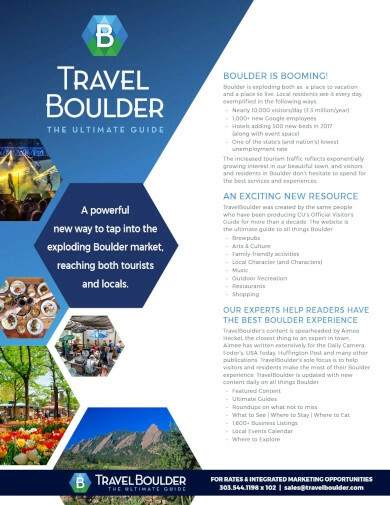 If you have a business that provides traveling solutions to customers, you may get inspiration from this travel media kit example. It is through media kits that both your current and potential customers will be able to determine whether the destination they want to travel to is fit for them. That will be possible if you will make sure that you include its must-have content, such as a fact sheet, relevant images, travel guide or travel brochure, contact information, and recent press releases or coverage.